The words ‘I Trust in Birth’ surfaced, as an affirmation for myself as an embryonic doula, in a session with a pregnant couple preparing for the arrival of their first child. The phrase encapsulated the faith in myself and other women to be able to give birth in their own natural way, given the right preparation and environment. My friend, who was my doula at my first two births, had embodied that unswerving trust in my ability to birth and I found it contagious. In both births, the staunch belief that she held in me helped me navigate some tricky twists and turns in events where I otherwise might have faltered. However, trust isn’t always something that can be switched on as soon as a woman falls pregnant. There are layers of trust in oneself, one’s partner and one’s caregivers that must evolve over those nine transformational months. And, beyond in the ‘terra incognita’ of parenthood, decisions about how to care for this new being arise again and again, continually demanding that we learn to trust in ourselves and our children. The inner preparation work that you and your partner do over the course of the pregnancy can lay the foundation for the deep trust in your capacity to overcome the physical and emotional challenges of pregnancy, labour and birth. I still hold on to the adage ‘trust in your body and your baby’, as I truly believe that women know on a cellular level how to give birth without being instructed. But I am also a firm believer in women being well-informed about their rights and their options regarding their maternity care. All too often, interventions can be avoided when the physiological, hormonal recipe for smooth labour is respected and encouraged. 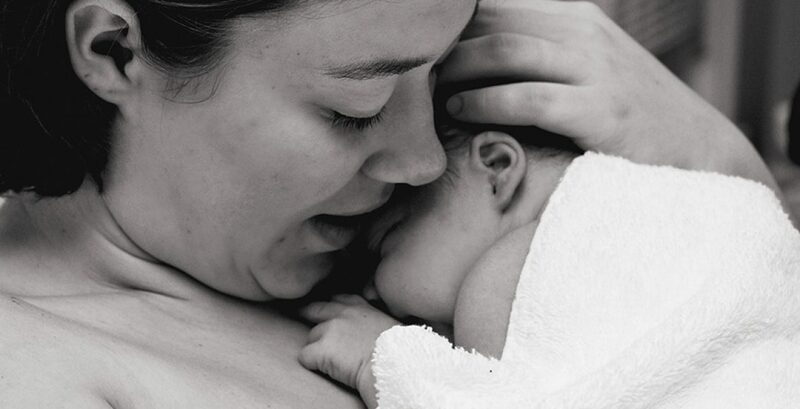 During pregnancy, you can get to grips with the science that supports physiological birth and be reassured that the evidence does back up what all those wonderful, witchy midwives have been saying for centuries – ‘Your body knows how to give birth’. Having said that, unforeseen complications can and do arise in birth. Sometimes medical intervention is necessary to ensure that a healthy mother and baby emerge from the birthing room. At these times, a healthy level of trust in and gratitude for the medical professionals and their expertise can lead to a greater level of peace and acceptance for the birth that may not have gone as expected. Birth and parenthood are also good terrain to test the strength of your relationship. You may want to take time to consider how resilient and trusting your relationship is when it comes to navigating this phase that not only highlights your deepest values but also your vulnerability. To cultivate trust you may need open up and explore issues that may be uncomfortable or challenging. There may be something seemingly mundane that becomes an obstacle in labour. For instance, many women feel embarrassed about their partners or another person seeing them poo (as some poo sometimes comes out as a side effect of pushing the baby out). If you talk (and laugh) about your fears or inhibitions in advance, you can find solutions together to prevent issues like these becoming a block during the heightened sensitivity of labour. On reflection, I appreciate the simplicity of the phrase ‘I Trust in Birth’ and at the same time, I enjoy exploring the different facets, which contribute to our ability to live from that place of trust. I m sure that I will have more realisations about this in the future.